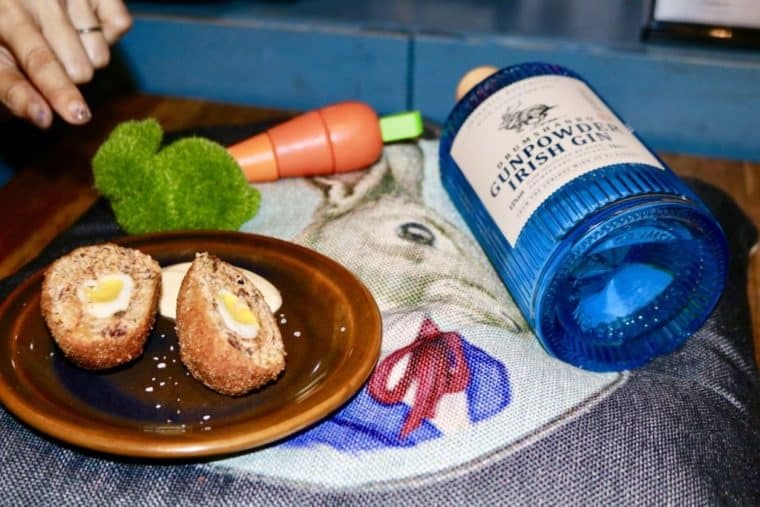 Rabbit Carrot Gun Scotch Egg Cooking Competition | Is Life a Recipe? Wow what a day. I got entered in to Rabbit Carrot Gun Scotch Egg Cooking Competition 2018. Held for the first time last year by the wonderful Rich Huggins and his lovely wife Tricia, this is an amazing event. 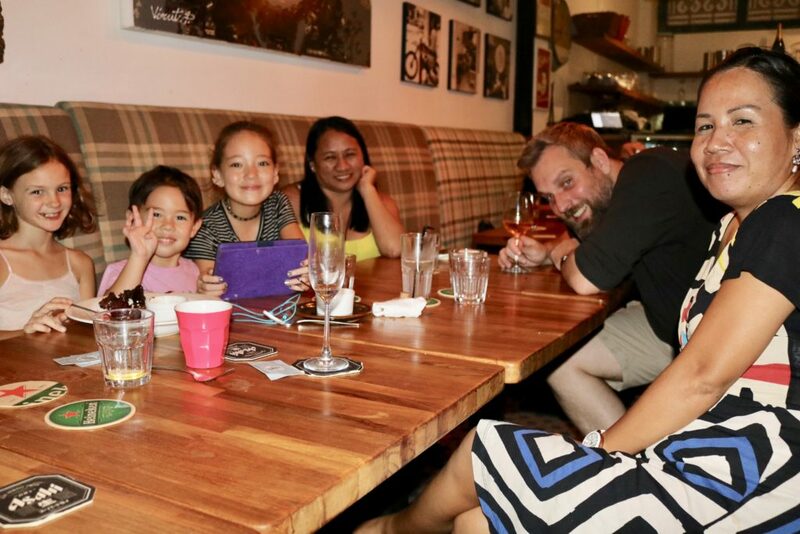 Thanks for the chance to do this Richard, it really was such fun – as always at your awesome restaurant. Get your self down here for amazing spread of English fare, which funnily enough does include Scotch Eggs!!! 5 Chefs and 2 ‘enthusiastic amateurs’. Oh yes, one of the Chefs happens to have a Michelin Star too – Chef Paul Longworth. Holy cow, no pressure. 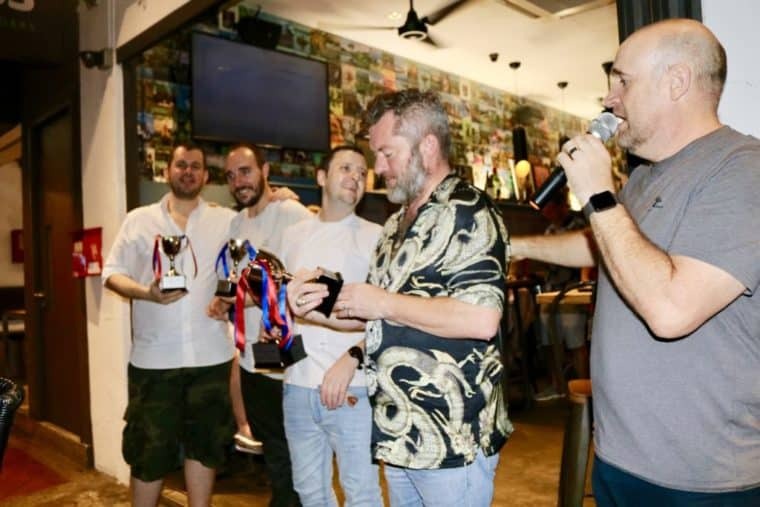 So up I went against Chef Heng – Jax’s Bistro, Chef Brent Johnston – Rabbit Carrot Gun, Chef Stephan Zoisl – Chef’s Table, Chef Paul Longworth – Le Rhubarb, Chef Arif – The Mason’s Table, and the other amateur Dan Tinsley. This is going to be EPIC. Rabbit Carrot Gun Scotch Egg Cooking Competition 2018. And yes, it was awesome. Richard gave me a couple weeks notice. 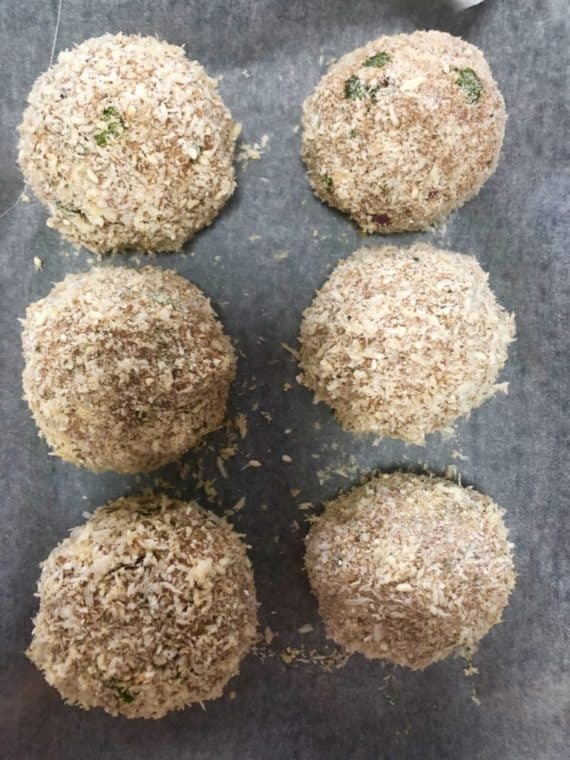 I came up with an off-piste Scotch Egg recipe – Laab Moo. 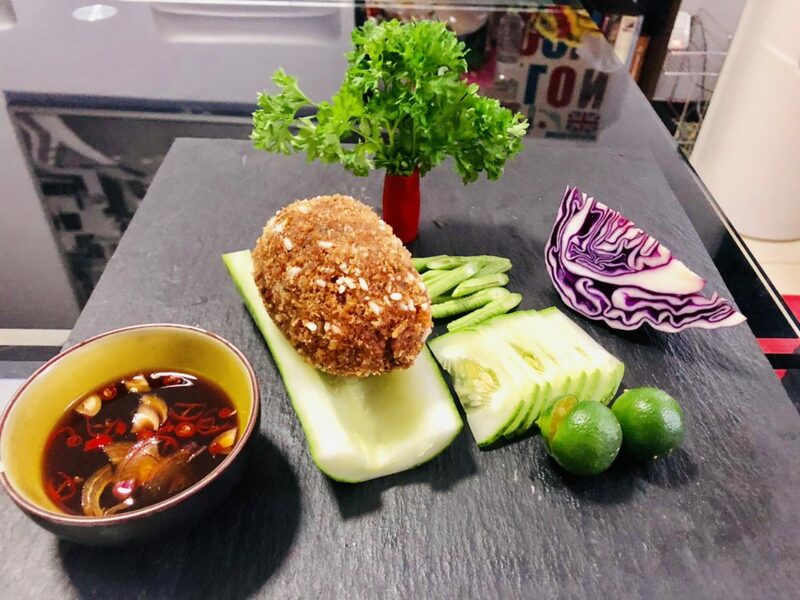 A Scotch Egg de-constructed Thai spicy salad. Yes indeed. 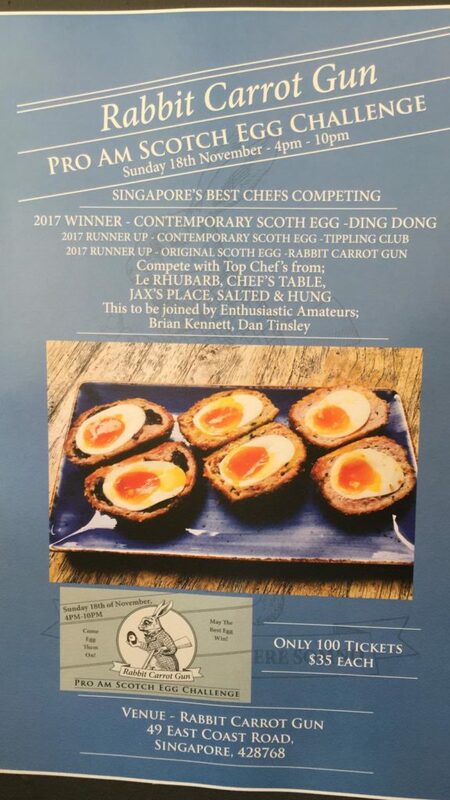 Pushing the boundaries out for Rabbit Carrot Gun Scotch Egg Cooking Competition 2018. Remember Eels Are Good, Eels Are Good, the Jellied Eels Are Good? I think I have only cooked one Scotch Egg before, when doing the East London BBQ with my mate Spencer and Mr C from Shamen – r!!! I relied a lot on the experience of watching my Mum do these when I was a kid. Thanks Mum!!! And guess what? I won the amateur contest. 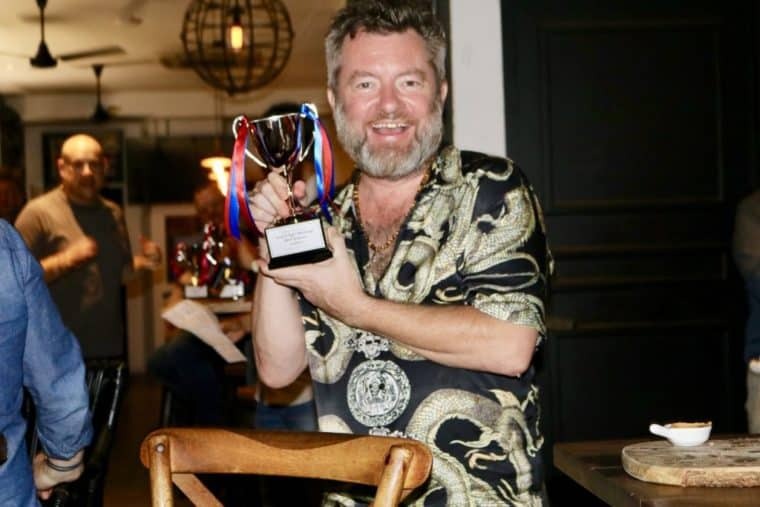 So I actually was a winner at Rabbit Carrot Gun Scotch Egg Cooking Competition 2018. Quit proud of myself actually. 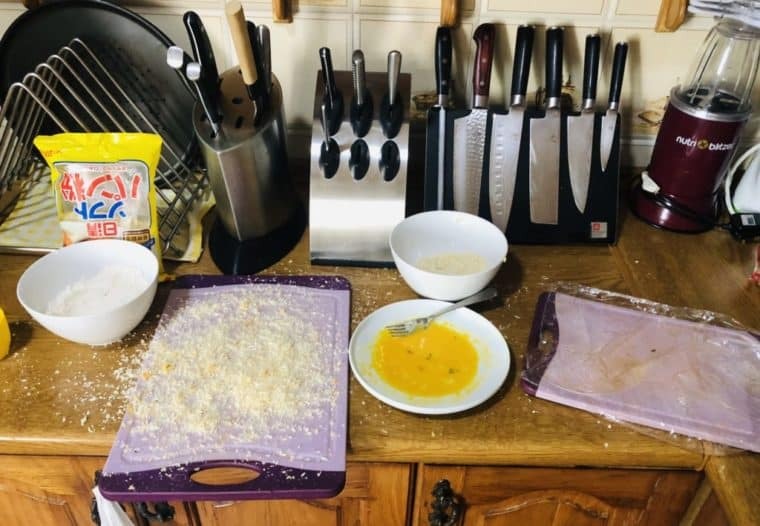 I’ll give you the recipe too, so you can also have a crack. It’s quite complex is a Scotch Egg, despite the simpleness of the dish itself. In fact, to be honest it is bloody hard. Especially getting soft boiled in the middle. WOW!!! It’s science. Here is the poster flier – name in lights. OK, OK we all know there is a typo – so no need to call out that it says Scoth Egg a few times. I love being called “enthusiastic amateur”. My Mary says that to me every night, ha ha! It’s practice time. Yes 6 versions were done to get the right egg yolk texture and frying time. Wow!!! And the final outcome of ‘test day’ was my first plating prototype. 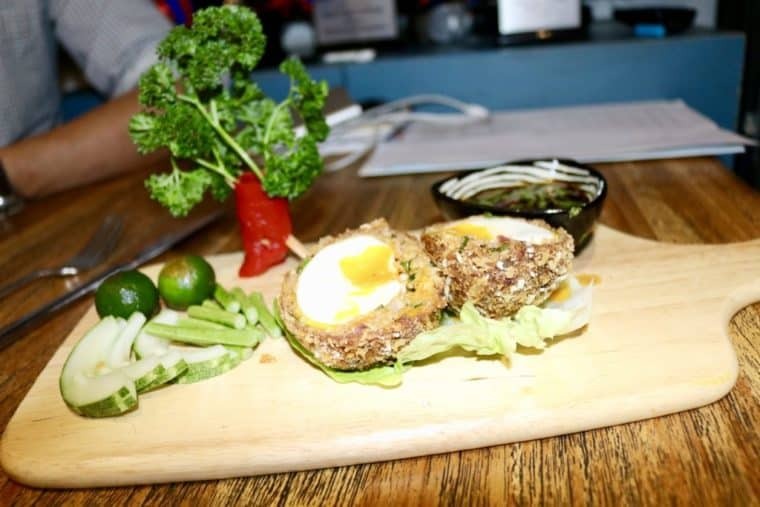 Laab Moo Scotch Egg with chili dipping sauce and salad. It changes on the actual day though! Read on. And here we are – the first batch of my competition eggs. No yolking, I think they look pretty good. Don’t egg me on!!! 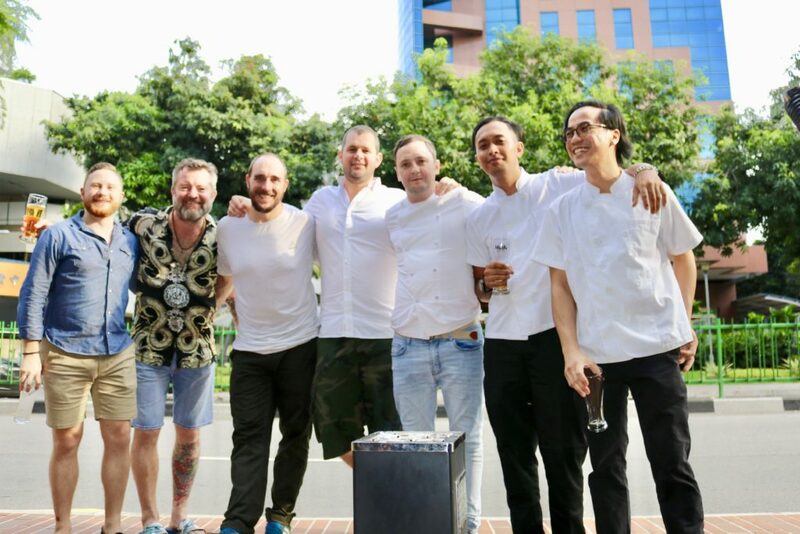 Mixing with some of Singapore’ finest Chefs – what an honour. A sort of “I am shitting my pants!! !” honour – thanks Rich and Tricia. 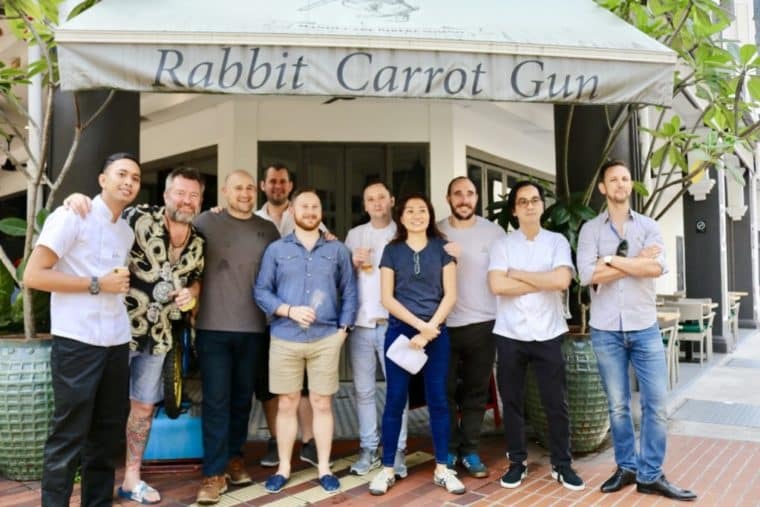 A beautiful sunny evening Katong outside the legendary Rabbit Carrot Gun – home of the Scotch Egg in Singapore!!! 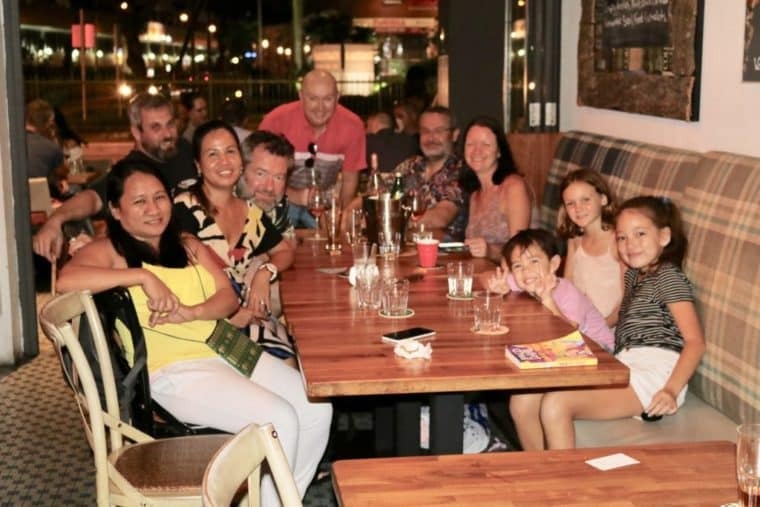 Richard and Tricia in the mix with the Chefs, Dan and myself in plain clothes. 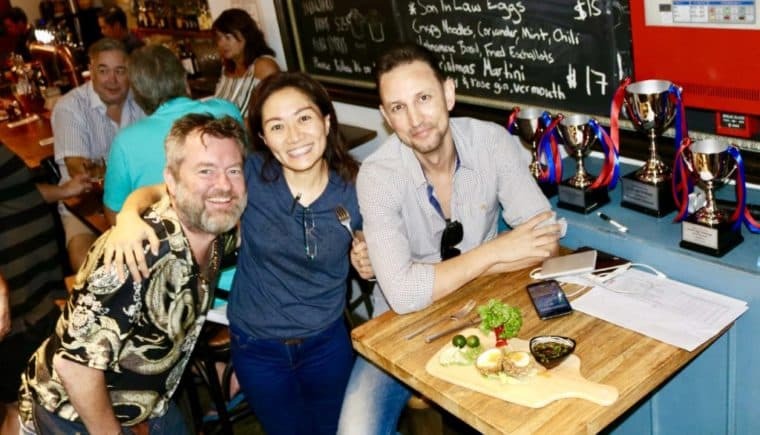 Tricia and the gent on the end were the judges – oh yeah the gent on the end is a food writer for National Geographic – DOUBLE no pressure!!! Beers flowing and friends being made. Audience is a building too, I reckon about 80-100 in there. Phew!!! I was up as second to cook. Myself and Richard at the front, with me on microphone having to introduce my recipe… Now nerves are kicking in. All done phew!!! Eggs came out perfect. Crunchy, crunchy. Runny yolks. Meat perfectly cooked. 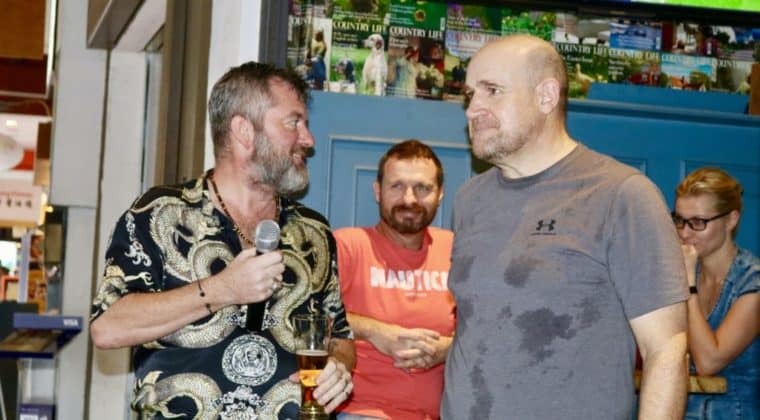 An honour to hand over my plated version to the two judges. I think that looks pretty bloody good!!! Fingers crossed!!! Here she is. The final version. I had a few issues with my tree. For some reason the Jalapeno pepper went all soggy. Damn, so emergency cocktail stick repair to make it stand up.Looks pretty damned good in my reckoning. I’d order it if this was on the menu. This is the sort of competition I was up against. This is pro-Chef territory. Do you get it??? Rabbit, Carrot & GunPowder. Just GENIUS!!! 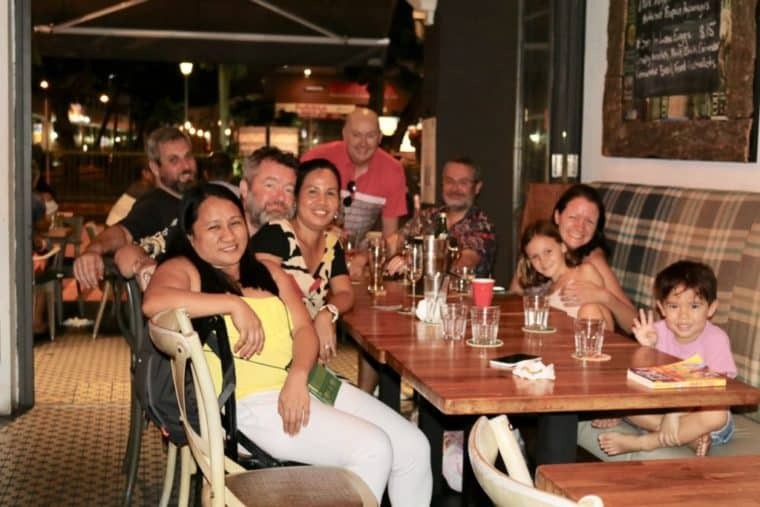 The gang were out to support – family Kennett, family Knibbs, Big Bird and Spencer – thank so much guys!!! Next door we have Ruthers, Jim, Ranners, James M etc. WOW!!! Gotta love these guys! Thanks so much for the support – means the World to me. 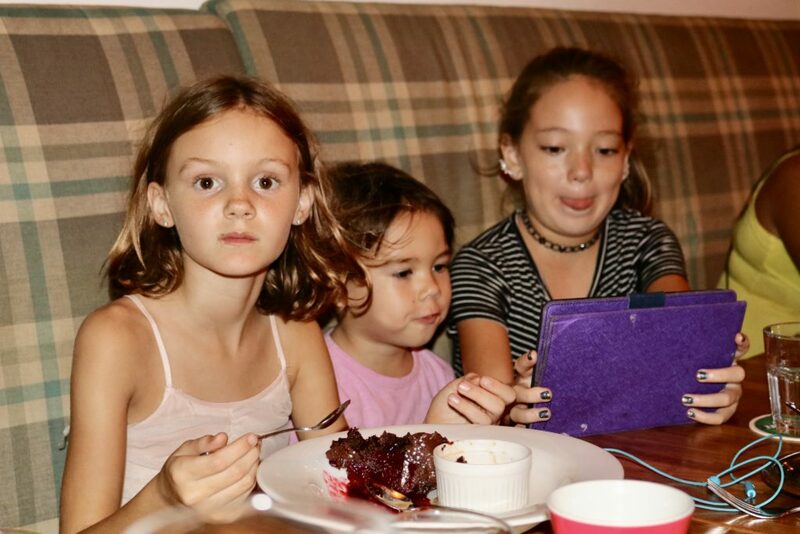 All having fun and keeping themselves entertained bless!!! It’s getting near the end of the competition now. Nail-biting stuff this. Oooooh!!! Guess what…. Yep winner winner – Enthusiastic Amateur – not sure where that standing is re the other Chefs but hey who cares. Bloody awe fun. Exciting. Scary. Seems every one liked my egg too from the public. Yes we had to cook 12, 1 for the judges all plated and 11 for the paying public. Phew!!! 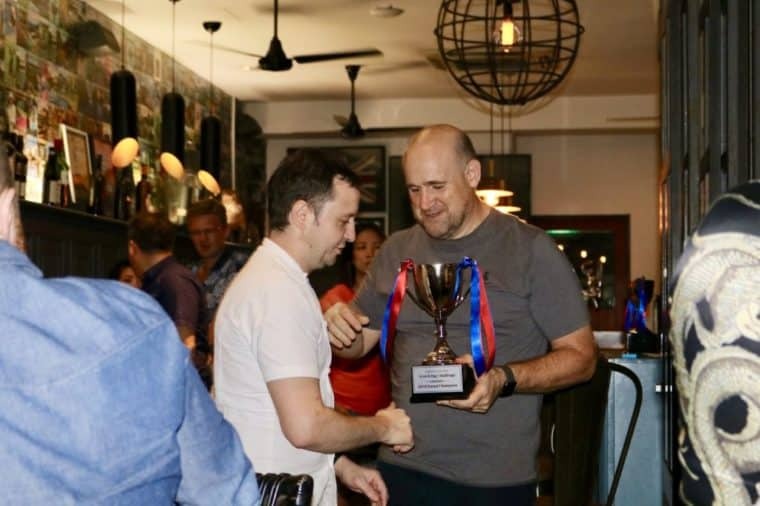 Supreme Champion was Paul – yep the Michelin Star Chef. So honoured to be rubbing shoulders with him. Amaze-balls… Pinch me!!! Here are the all the winners. Again so truly honoured to be stood along side this array of food specialists. Can’t quite believe it still. I am a winner with them. 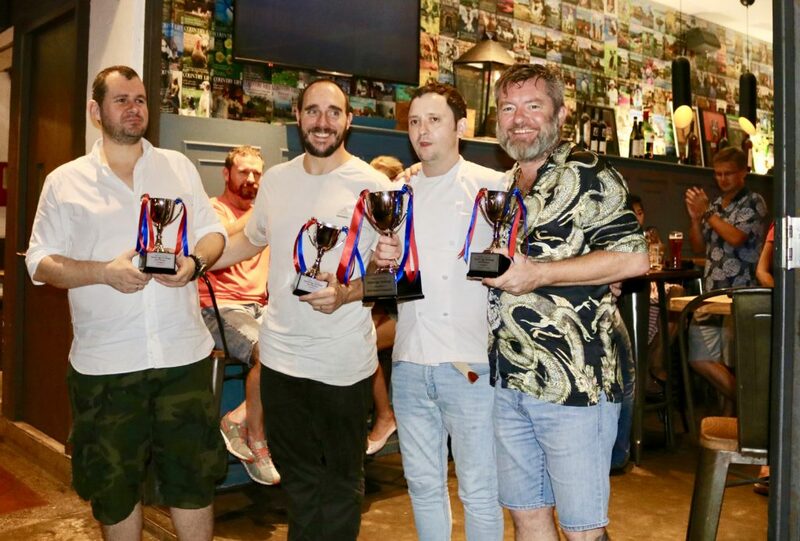 L-R; Chef Stephan Zoisl; Winner Contemporary, Chef Brent Johnston; Traditional, Chef Paul Longworth; Grand Champion, and Brian; of Brian – just so happy to be there, let alone Winning. I am indeed a BLOODY HAPPY CAMPER. A wonderful afternoon and night. So proud to have won. Thanks to family and friends for coming down to support – hope you liked the egg, as much as I enjoyed myself. Rich and Tricia – what can I say but thanks and to my mate Ruthers for chucking my name in, in the first place. Step #1 – mix all this together thoroughly and set aside. 12+ normal sized chicken eggs. Step #2 – bring a pan with water to boiling. Drop in 6 eggs at a time and cook for 7 minutes EXACTLY. As soon as 7 minutes is gone, get them straight in to iced water to stop the cooking. Peel them VERY carefully. These are your soft runny yolks in the eggs. 2-3 finely chopped chili padi. Step #3 – mix together and pour in to serving cup – this is your dipping sauce. Step #5 – deep fry on 160 degrees for 8 minutes, drain on some kitchen towel. Step #6 – serve on a lettuce cup, with some cucumber, long beans and of course your dipping sauce!!! And there you have it my friends. My little adventure on a random Sunday, courtesy of Rabbit Carrot Gun @ Katong. This has been my little rendition of Rabbit Carrot Gun Scotch Egg Cooking Competition 2018. What a cracking day!!! What a cracking competition (yeah get it – eggs!!!). Thanks again to family and friends and to Richard and Tricia for putting the competition on in the first place. So great to meet the Chefs and be cooking along side them. Just quality. So I suggest you absolutely attend next year, and maybe even nudge Richard to compete. You absolutely will – ENJOY!!!! No Replies to "Rabbit Carrot Gun Scotch Egg Cooking Competition"